Rinku from Cooking in Westchester is hosting this edition of Weekend Herb Blogging and this week I'm using pears. 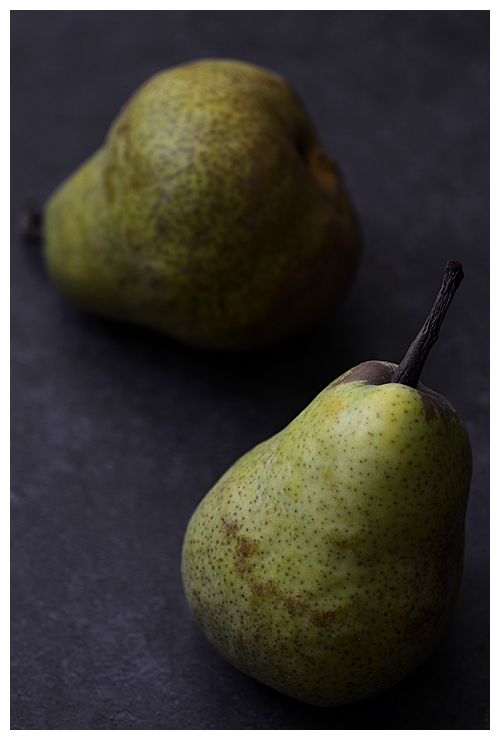 Apart from one recipe, all my previous dishes using pears have all been sweet so it seems a good time to redress the imbalance. 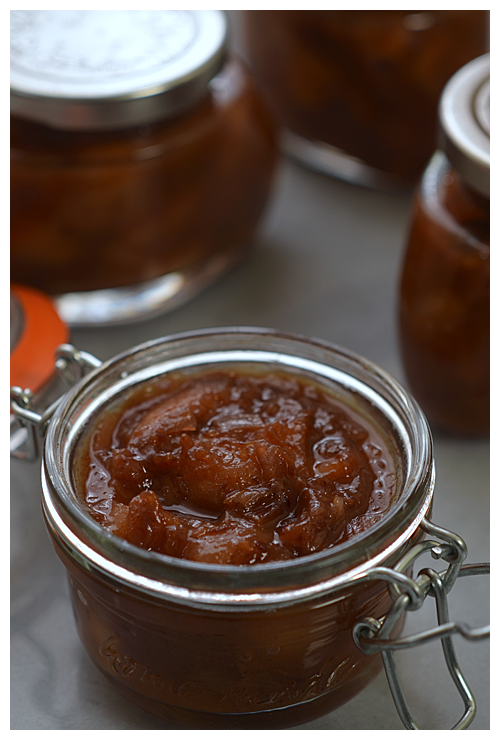 It's the time of year when you're on the look out for some new Christmas cooking ideas and a recipe for Christmas Chutney over at the BBC got my attention - A mix of apples, pears and dates it is spiced with cinnamon and cayenne. I have played around with the recipe a little and as for all recipes with spice, it's best to always judge the quantity by taste. Place the onion and a half cup of water into a pot and place on a medium heat. When it comes to the boil, turn the heat down so it simmers - cook until the onion has softened but not coloured. Add in the apples, pears and dates and give the mixture a stir - let it cook very slowly so that fruit starts to soften (you don't want them to become mushy and disintegrate) - about 10 to 15 minutes. Sprinkle over the salt, cayenne, cinnamon, mixed spice and cloves along with half of the cider vinegar - stir it well to ensure the spices are well distributed and continue cooking for another 10 minutes - or until the mixture starts to thicken. Pour in the rest of the vinegar along with the sugar - give it another good stir to help the sugar dissolve and then simmer until the mixture is quite thick. Divide the hot chutney into sterilised jars and seal - once cold, store in the fridge. You can enjoy this chutney now or leave it for a week or more to allow the flavours to develop. Yesterday I was in the mood so, inspired by you, I made one too. This sounds like a delicious chutney recipe i'm going to try out over the holidays. nice recipe..i was used to think "chuntney is basically from indian" but just love your work..